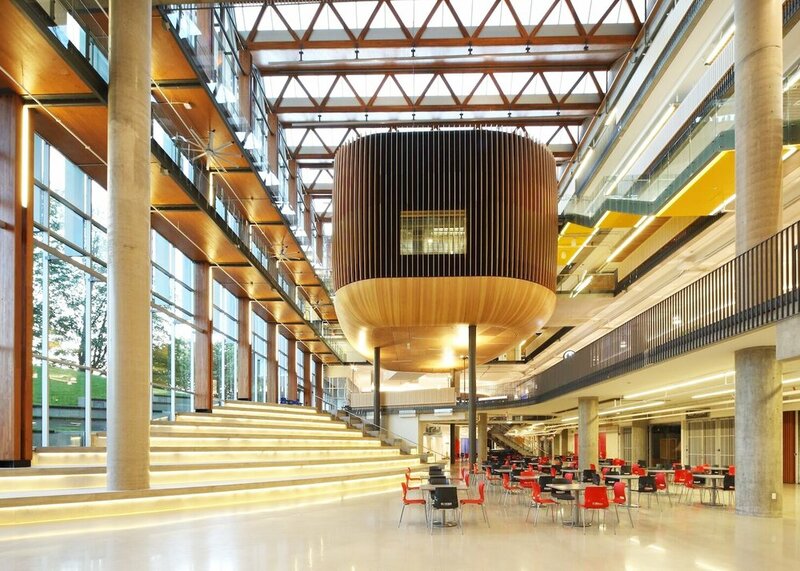 AES has expertise in the field of designing lighting and electrical systems for all levels of educational institutions and facilities, and continuously strives to create innovative learning environments. We have successfully completed over 100 projects in the education sector, including elementary, middle and secondary schools, post-secondary institutions, culinary schools, laboratories, and research facilities. Our team recognizes the importance of promoting interaction and a sense of community for today’s technology driven learning environments, and supports the principles of 21st Century Learning. Our team strives to artfully integrate our electrical designs to be reflective of the needs of not only our clients, but students, school staff, parents, and the community. Want to create a better built environment for the next generation?